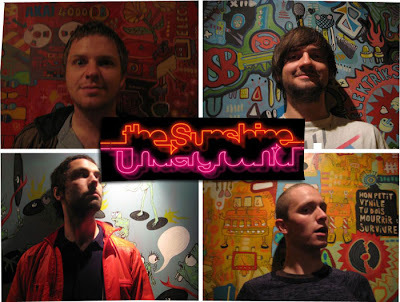 ‘Commercial Breakdown’ by the Sunshine Underground was the ‘gatewaydom song’ to my first Indie music haven. I practically held on to it for such a long time due to the fact that I felt a heavy Strokes vibe through out the tune, which come to think of it now, is just plain wrong, not to mention unfair. The Sunshine Underground is a band from Leeds whose name was taken from one of Chemical Brothers’ track and which pays no reference to the New York rock band, the Velvet Underground - just in case any of you were wondering. The band as the well as so many other bands, have often faced difficulties in trying to find the correct label to their music. To me, it sounds nothing more than indie-rock with some slight punk infusions, but oh well, that’s what happens when you judge overall music by a single song – misconceptions, misconceptions. ‘Commercial Breakdown’ boasts hard-ripping and crashing guitar riffs, accompanied by boisterous bass-lines and heavy drum beats. It’s a tune that’s both bold and big, and dense with huge sing-along choruses that’s sure to keep you fueled up the whole night through. The melodies are jagged-edged, brimming with vocals that might as well construe anger but with an amount of passion and intensity that never falters for a moment - it takes one to know one.